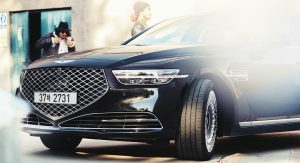 Korea’s Genesis EQ900 has just received a facelift and was renamed the G90 in order to fall in line with the automaker’s overseas naming policy. 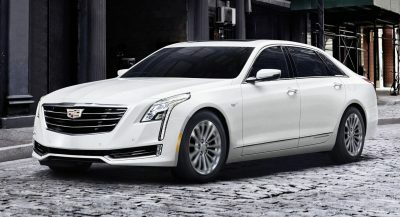 Unveiled during a local event in Seoul, the executive sedan benefits from an extensive makeover on the outside, which brings a reworked grille, four-point headlights, new hood creases, redesigned taillights and a few other features. 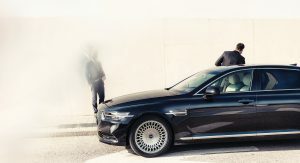 The side turn signals ‘split’ the headlights in two, there are new exhaust tips and optional 19-inch wheels with sound absorption to reduce tire noise. 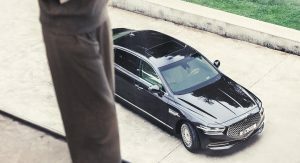 Genesis is offering the 2020 G90 in nine exterior colors, including the new Porto Red and Gold Coast Silver, and new two-tone color and trim combinations, namely Brown and Brown/Blue. Also Read: Would You Buy The Genesis G90 Over Its More Established Rivals? 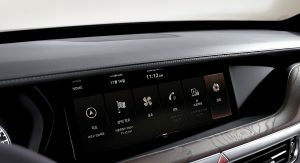 Inside, things have largely been carried over, although the automaker does mention a re-engineered 12.3-inch infotainment display with smartphone integration and Intelligent Car Management Service. 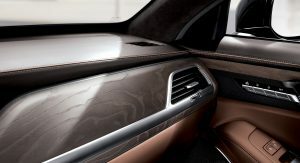 The central air vents are now slimmer and customers will have more trim options to choose from. Some of the technologies present in the 2020 Genesis G90 are Active Noise Cancellation, Adaptive Suspension Control with electronic damping, and automatic external air prevention that automatically adjusts to recirculation mode when the sensors detect a polluted environment or the car enters a tunnel. 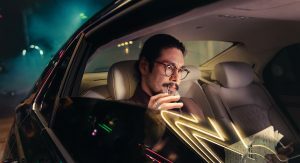 Standard safety features include Lane Follow Assist, Rear Cross-Traffic Collision-Avoidance Assist, Forward Collision-Avoidance Assist and Safe Exit Assist. 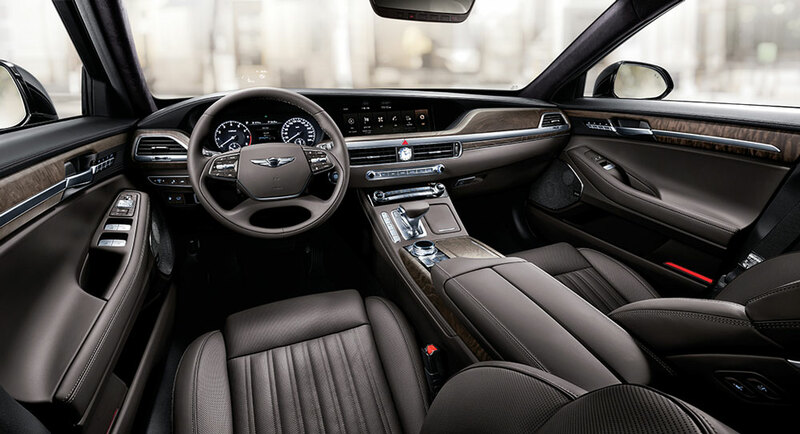 Browsing on the Korean automaker’s local website reveals a choice of three engines and as many grades for the 2020 Genesis G90. These are the 3.8-liter GDi, 3.3T GDi and 5.0 GDi. 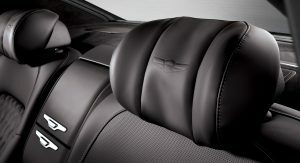 The first two are available in Luxury, Premium Luxury and Prestige trim, whereas the 5.0 only with the Prestige. 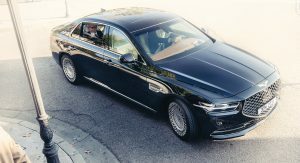 Genesis says the redesigned G90 will enter additional markets beginning next year, so we should know more about the U.S.-spec in the coming months. WOW… This car could make me vote for tr ump! 2020? the headlining image for this article it the worst photograph. For a ReFreshed G90 (not a completely new model), this is pretty good. Pretty Darn Good. Seeing the videos, this car looks much better in the flesh than in those ‘press photographs’. (at least in my own opinion. 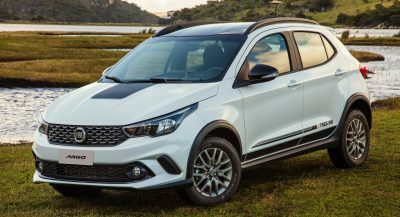 For a facelifted model, it’s an improvement over the previous overly bland design, albeit the new grille is overdone. 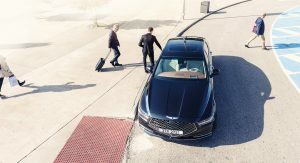 On a different front, the G70 is Motor Trend’s 2019 Car of the Year. the G70? !… hmm, well I’m pretty impressed. But I agree, this new G90 is a much better improvement inside and out. Pretty darn good indeed. And I agree re the choice for the headlining photo. Lol @ the oversized Acura grille. Can you say Ugly in Korean. Lol again. Mazda and Cadillac also use a pentagonal shaped grille. And Acura’s new grille shape is even worse than the beak. I think it’s great!! I love the BIG grill. So you CAN be big and NOT silly. [Are you listening Lexus?] Way to go Genesis. [Which is very quickly replacing Cadillac in my heart] That said…. I would no doubt soon learn to hate cleaning those rims. The new Lexus ES and LS look pretty good this time though. I think Lexus finally got the grille right with this gen. The fake side vent is such an eyesore on an otherwise fine design. Look closely, it’s not fake. I only have one word for it. But…. I hope people actually pay attention to it. Interior is beautiful, exterior – not so much. I hate the front! The rest of the exterior is nice and the interior is great! This kills any Audi, BMW or Mercedes. Not even in an alternative universe this big thing is doing that! Surely you’re not THAT big a snob. Are you? Is that Johnny Depp rushing to get in this in pic 7? Yes (I guess it is 7),.. it showed up as 6 for me. That’s weird. What an update! very well! I love this new design. This is great. Love the wheels too. 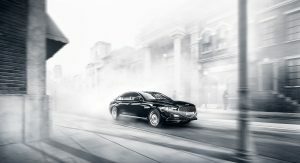 Genesis is quickly replacing Lexus as the Asian luxury car brand to have.. great job! The inside is just stunning! And you still get the 10 yr/100,000 miles warranty with Genesis models right? Yep, that’s a perk with the Genesis brand. They have all the necessary things to compete. The kick off of the brand is just shaky–as well as finding a cohesive design language, sort those out, and they’ll be alright lol. the koreans are doing extraordinary things while the japanese aren’t taking the luxury seriously. other than lexus but i’m talking to you acura and infiniti! they still don’t have the flagship model after all these years! Lmao. 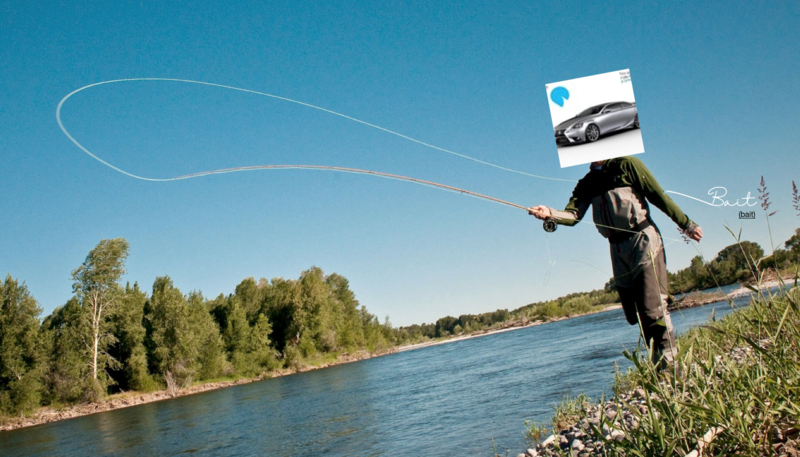 Lexus dealerships do not compare to Hyundai dealerships. I like it. Especially the interior. As I see it – it’s amateur photography. [Other than the front grill – which I happen to like] Shadows and reflections are distorting the image. The taillights actually look pretty good when lit up. Without that grumpy looking front this car would be really nice. Those spy pictures didn’t do this car any justice. Also, isn’t it awkward how Genesis and Acura have identical grille designs now? I see no acura grill on this car. People and their bad eye sight. I don’t see it in the grill but the lower valance I see it a lot. The rear end is giving me a little too much mid-90s Lincoln for my taste. Okay, I see you Genesis. Now if you can iron out the fine details and dynamics it should be a winner. Looks a hot, knock-off mess. 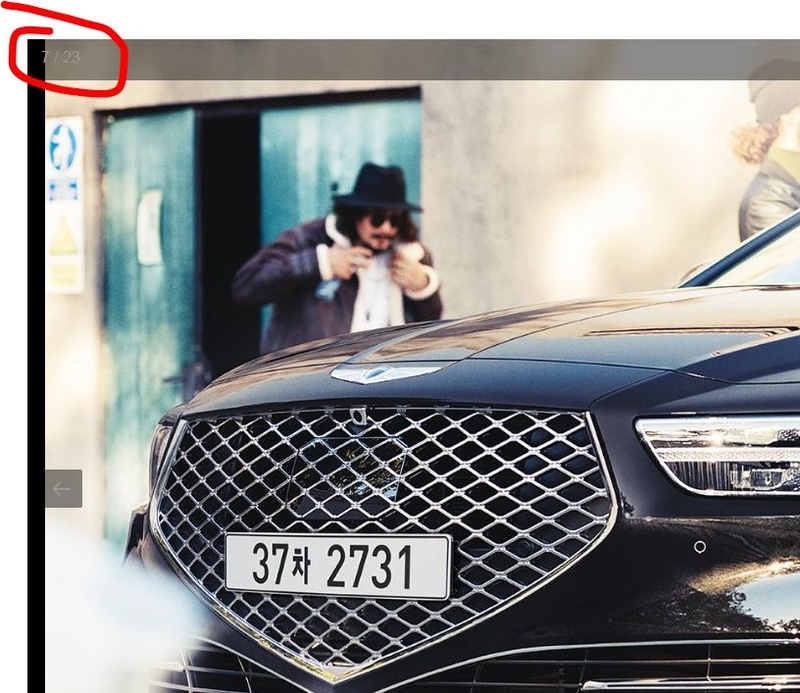 Hyundai continues to show that they cannot be original with their Genesis brand. How many brands can they copy? Damn. 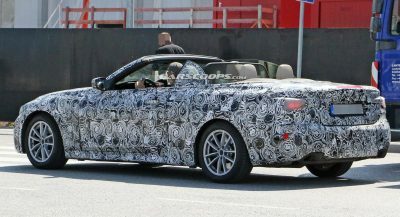 Look at that wannabe GS interior, those Volvo headlights, Acura grille, Lincoln tails. Just awful. It’s specifically taken from the Essentia concept design, where the LED strip extends from the front headlights and past the wheel. Acura grille? What Acura has a grille like that? This is possibly the most thorough refresh I have ever seen. Say what you will about the design, frankly the slightly retro but modern luxury barge theme works for me. 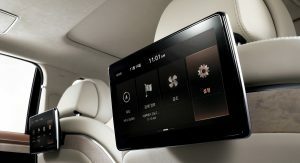 Genesis and Hyundai group as a whole certainly doesn’t sit on its design laurels long and isn’t afraid to experiment. One can certainly make comparisons, but I think Genesis has done it successfully. 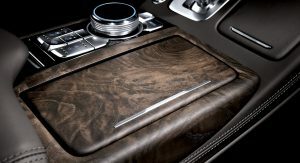 Other luxury manufactures should be taking note and I am sure Genesis makes them more than a little nervous. 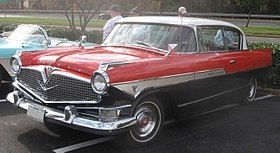 This should be a fine well built and reliable vehicle at a relative value for those wanting to eschew the status quo. Hmm, I’m glad to see they’re really moving towards that split headlight look from the concepts. I don’t really like the rear though, looks too similar to other cars right now. Great interior but the exterior is the one I’m worried about. It’s NOT growing on me no matter how long I look at it. It’s a bit cartoonish to me tbh. The front face gives me Alfa Romeo vibes a little bit. That’s definitely not going to grow on me; it’s hideous. God, I miss automotive design. I absolutely love it. There seems to be a lot of people who disagree, but you all have to admit,, this is pretty major for a refresh. they really put a lot of effort in this, and i think it works. The old g90 was nice, but it didn’t stand out. This refresh is stately yet futuristic, like something a villain in an anime would drive. 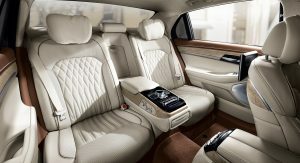 if it were not for the interior, which is decent but not extraordinary, i would much prefer this over the Benz. But then again, this is only a refresh. Wow just amazing.. This car is an evolution to the luxury segment and a solid option I feel sorry for those that dont have taste in such times, well done to Hyundai. you can clearly tell the difference between a Hyundai and a Genesis with this design language they have taken. You would be hard pressed to find a major defining or point of difference between a Lexus and a Toyota. Toyota vs Lexus = blend vs premium and Hyundai vs Genesis = Premium vs Luxury until then will wait for Toyota to start taking cars serious again vs riding on their history and name because Hyundai is serious about cars and that seriousness is getting seriously dangerous for Toyota. So, how many rocks of crack do you smoke a day? Is Hyundai paying people/bots to post positive things about this car? Something seems fishy in the comments. Do you say the same for the people always praising Toyota/Lexus products ? Just curious. If the comments read like suspicious Amazon product reviews, I’d feel the same way no matter what manufacturer was in question. 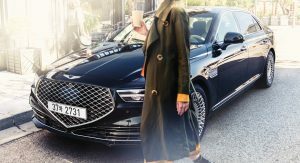 Nothing against Hyundai/Genesis or their vehicles, but a bulk of the comments here feel like very hollow praise that remind of me of paid comments on crappy Amazon products. The G70 and G90 cater to completely different audiences. Which audiences are these? Genesis as a faux brand has miserable sales. IT’s a monstrosity. The grille, the wheels, those tail lamps. Awful looking thing. 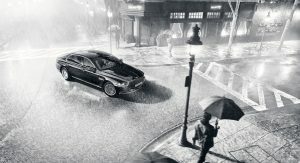 Ready to take on the S class? LMAO. I think not. I only like the wheels and maybe the rear. The headlights also are nice, but that grille, yikes. Why is the low part so pointy? that’s awful. If it was a hexagon it would look so much better. Interesting design. 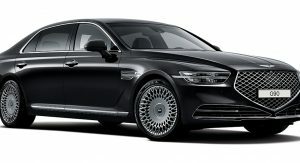 You can tell they are really trying to make Genesis successful as this definitely looks the part of a “luxury” car. 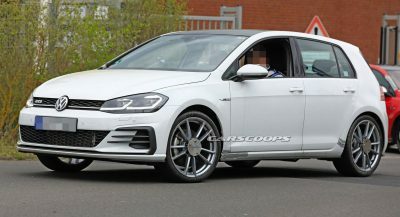 I’m not sure abuot the wheels, I hope those aren’t the sole wheel option. And in a different color. LOVE THE TAIL LIGHT TREATMENT. BEAUTIFUL INTERIOR. THEN THERE’S THE GRILLE…SO CLOSE GENESIS. Please turn your caps off. Better than anything from Lincoln, Acura, or Infiniti, and ready to give Lexus a run for its money. Too bad nobody will buy it. 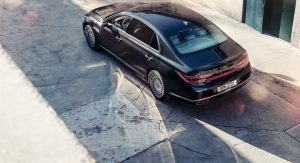 Sedans don’t sell, haven’t you heard? The sleekest car I’ve ever seen from Genesis. So boss! But you can tell that this is a design language that would have worked even better on a something that was designed from the ground up specifically for it. 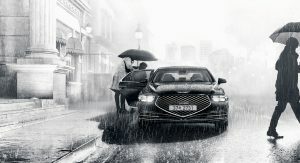 I wish the G70 had some of these designs, especially the headlamps and grille. 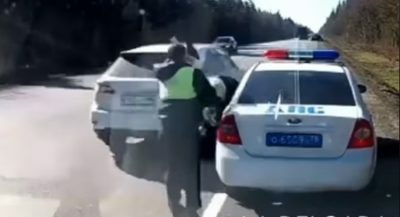 90’s Chevrolet Caprice, anyone? Seems like its evolution, lol! From the grille to the tail lights, this is one ugly piece. 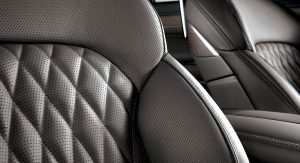 The interior looks like a prior generation Lexus too. This is not going to sell well. I like everything about it, except that grille shape. yeah, I see a lot of executives getting driven around in this. not.